Years before winning a Fulbright scholarship this May, Kanchan Wali-Richardson A’12 already knew that she wanted to study the contradictions of the city of Varanasi in eastern India: while it is the foremost pilgrimage site of Hinduism, Varanasi and its river, the Ganges, are exceedingly polluted. In fact, the pollution of the Ganges is so infamous that the recently elected prime minister of India, Narendra Modi, made the contaminated river a central theme of his election, casting the Ganges as a symbol for government corruption. Wali-Richardson wants to observe how devout Hindus, for whom the Ganges is a site of religious devotion and ritual, interact with environmentalists who are trying to contend with the 300 million liters of raw sewage and pollution from industry that flows into the river every day. She doesn’t yet know what form her sculpture will take by the end of her nine months in Varanasi, but the steps that line the Ganges, known as ghats, will act as her starting point: “They’re amazingly beautiful, whole riverbanks lined with incredible cascading stairs.” To Wali-Richardson, the ghats represent users’ relationship to the river both for religious and industrial ends, and she will be searching for ways that sculpture can address those conflicting needs. 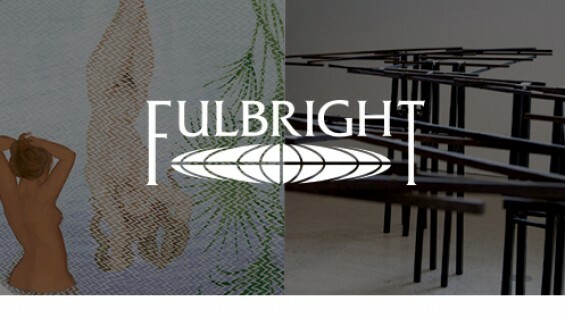 Over the past 10 years, 16 Cooper Union students received Fulbright scholarships. Peter Buckley, Cooper’s Fulbright program advisor, says, “I think that it’s fair to say that a part of our reputation as a college is based on the number of Fulbrights we’ve had over the years.” Cooper’s standing is all the more impressive since the program’s funding has depleted over the years, making the prize even more competitive.